CSA stands for Community Supported Agriculture. Click the below button for more information from the USDA website. 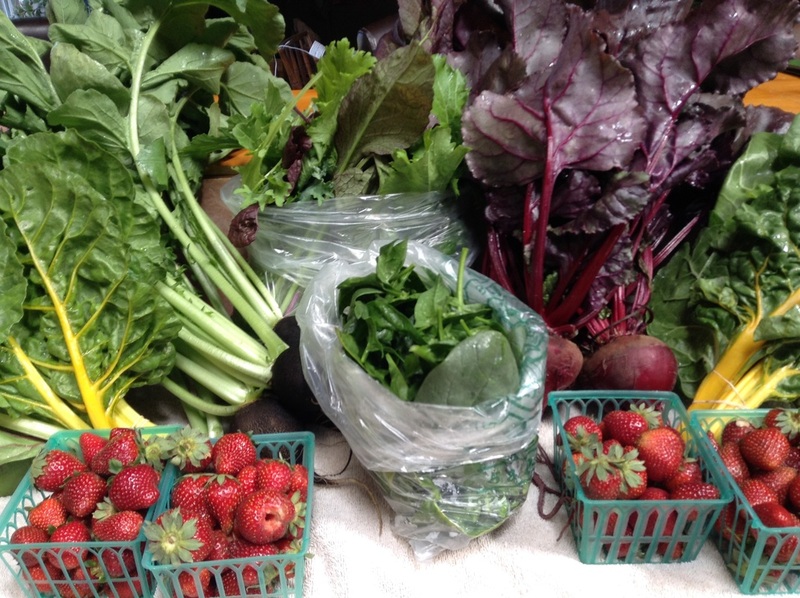 We are offering a weekly CSA share running three 12-week seasons for a total of 36 weeks. Each week we will harvest an assortment of vegetables from our farm and put together a share for you and our other CSA members. All food in your share will be grown by us and on our land following the practices mentioned in our mission statement. We had to increase our price a little due to the increasing price of seeds the last few years. Please let us know if you have any concerns or questions about this! If for some reason we are not able to get you your share one week (due to a natural disaster, road closure, etc), we will gladly increase your share size another week to make up for it! We will always do our best to figure out how to get you your food every week. Pick-up at the farm is always an option too. This is a Full share from April 2015! Interested in donating some money to our Community CSA share? We are hoping to provide at least one CSA share a season to a community member who can not afford a share on their own. If you are interested in donating some money towards this share, please let us know! or fill out our contact form by pushing the below button. Thank you so much for your interest and we can't wait to talk to you! What are our members are saying about our CSA? "Our farm share helped make a difference to a young, vibrant local business along with giving us great vegetables each week to share." "I love getting fresh food delivered to me while living in a remote area! I'd have to drive into town so much more if not for the CSA." What will each box contain? Summer: Bok Choi, Green Beans, Carrots, Chard, Kale, Lettuce Heads, Radishes, Cucumbers, Spinach, Summer Squash, Melons, Onions, Garlic, Peppers, Tomatoes, Tomatillos, Potatoes, Ground Cherries, Okra, Eggplant, Herbs, and some more surprises! Each week members will receive an emailed newsletter on the day that their share is delivered. The newsletter contains a list of all of the items in the share, as well as some interesting facts about one of the items in the share. There is also a recipe included each week, which incorporates at least three items from that share. Below you will find this years newsletters! Take a peak at what we have been providing for our members this season. If you are interested in CSA newsletters from 2018 or 2019, please email us. We will gladly share them with you!